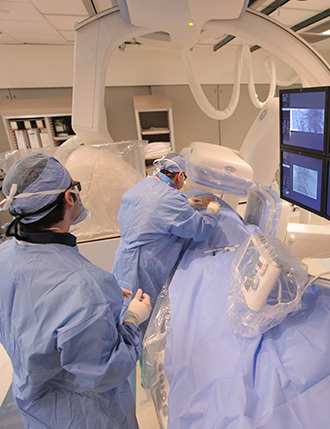 The Interventional Neuroradiology Service of the Department of Neurological Surgery at Weill Cornell Medicine offers a two-year clinical fellowship open to neurosurgeons, neuroradiologists, and vascular neurologists. The fellows will participate in novel clinical trials and will have ample opportunities for clinical research and publications. For more information please contact Dr. Athos Patsalides at 212-746-2821.